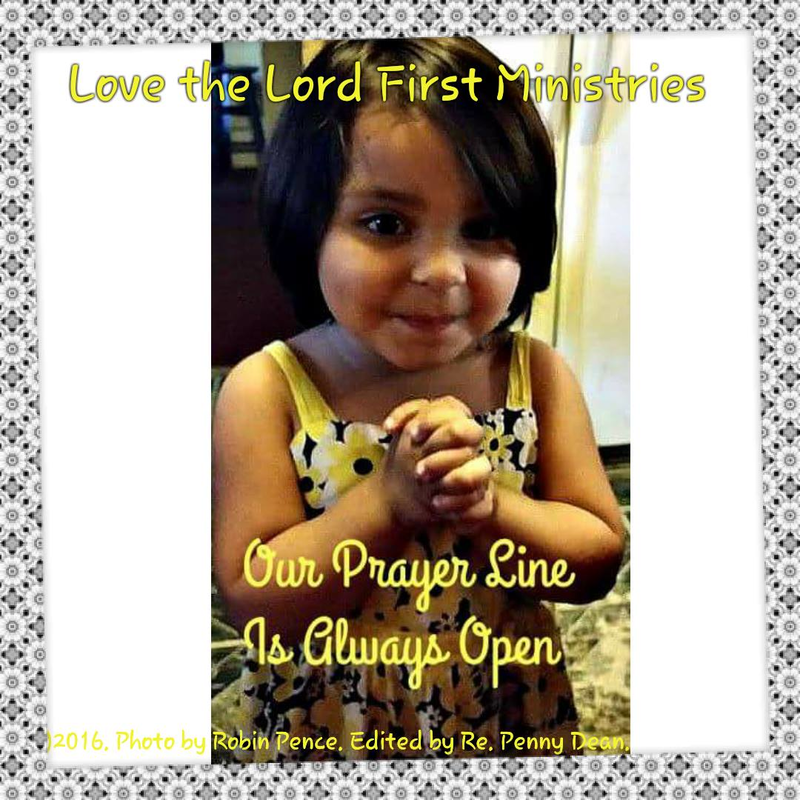 Welcome to Love the Lord First Ministries Prayer Line! If you are in need of prayer simply post your prayers on this page and our prayer warriors will indeed pray for you. If you would like to pray for others you are welcome to click on reply to respond to each others prayer request. Our Prayer Warriors are ready and willing to pray for you, in the name of Jesus we pray. You can also send private prayer requests by using our Send Message Button or by contacting us on Facebook. Thank you so much for coming. Click on "Comments" below to submit your prayer request and after you submit your prayer request you can click on Notify of new posts and you will be notified of our prayer and of those who want you to pray for them. Keep in mind that your submission is public and everyone in the world can see it. Do not mention other people's last names if you are asking prayer for someone else. If your prayer request makes accusations of any kind toward another person or entity it will be removed. This is not a forum to advertise your products or services any comments referring our viewers to your website will be deleted. Most of our prayer warriors do not post responses but they do check the comments daily and pray for those who post their prayer requests here. If you have a prayer request that is too delicate or difficult to enter in the comments you can send us a message or an email (Our contact information is at the lower part of this page). Have a blessed day! Whether you need prayer or would like to pray for others we want to thank you for coming. Prayer opens doors for us that may have been closed otherwise.